It's been a flurry of emotions for Teen Wolf fans of late. First, we've had to wait for eons for the final episodes of Teen Wolf Season 6, and now, we're hearing that a reboot could happen in the next few years to bring the franchise back to life. That's interesting and all, but we need to end the current storyline and bid adieu to some of the show's much-loved characters before even thinking about a potential return to the franchise. Thankfully, the cast made their way to San Diego Comic Con earlier today and brought a nice new trailer along with them. Said trailer was a cut above the one released just days ago. Maybe they should have held off and debuted this trailer because it's fantastic. The final villain looks poised to be none other than Gerard Argent who is back in town with an agenda. That agenda is to wipe out every single werewolf in town. Yes, a war is brewing and viewers best buckle in for what looks to be the most intense episodes of the entire series. It's scary to think that some characters might not make it out alive, but we'll have to stay glued to our screens to find out the truth. There's even a villain at the school named Nolan, who looks very similar to Rami Malek in Mr. Robot. However, we know who is playing this new villain, and it's Froy Gutierrez. 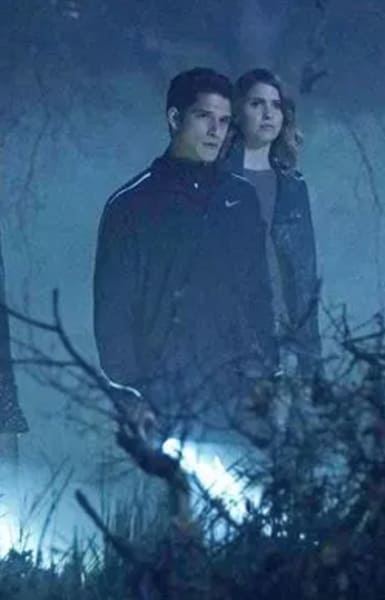 If you watch Teen Wolf online, you will know that new students at the school are generally bad news, and Nolan looks set to cause a lot of trouble while there. What irked us was the inclusion of many romantic scenes between Malia and Scott, who seem like a rather random pairing. Have a look at the full trailer below and let us know your thoughts in the comments. Teen Wolf: Dylan O'Brien Surprises Cast, Audition Tapes & MORE! !